Happy October Friends! Over the weekend, my husband and I celebrated Oktoberfest at Hofbrauhaus - the best place in our area to enjoy German fare and lots of overflowing beverages. One of the first things that you'll experience upon stepping inside Hofbrauhaus is the sweet smell of toasted nuts coated in sugary cinnamon. 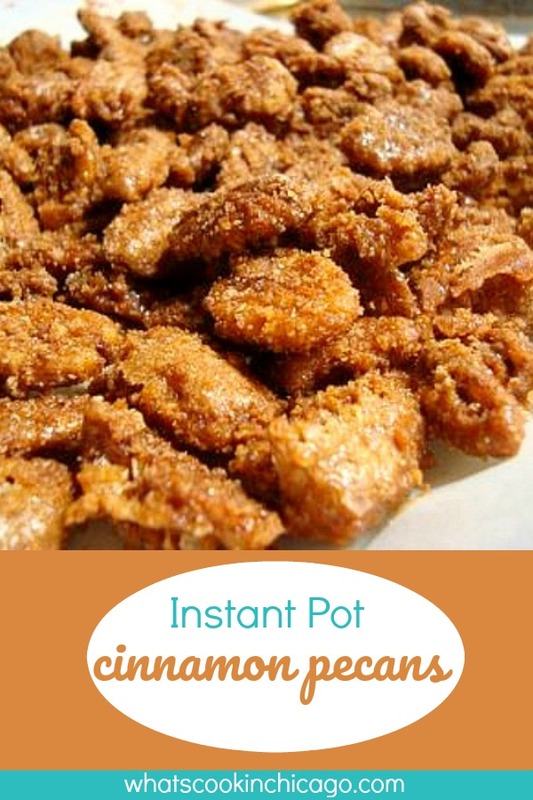 Bavarian style Cinnamon Pecans are a popular treat and I was inspired to make some the next day using my Instant Pot. The recipe that inspired me is from here. I adapted it to give it some more flavor using Pumpkin Pie spice (it is pumpkin spice season after all!) and we loved how they turned out. Plan on making a big batch - these will not last long! In a bowl, combine the egg whites, vanilla and water. Whisk until frothy and place in a gallon sized resealable bag. Add the pecans to the egg white mixture inside the resealable bag. Seal and toss to coat the pecans thoroughly. Press SAUTE and add the sugars, cinnamon, pumpkin pie spice, salt, maple syrup and water. Mix thoroughly to fully combine. Add the coated pecans to the IP and stir to coat. Transfer pecans to a parchment lined baking sheet and spread out to cool for 15-20 minutes. 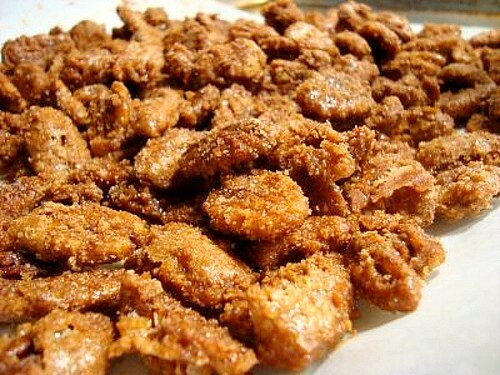 This allows the sugars to harden and give the pecans a crunchy texture. After pecans have cooled, bake the pecans in the preheated oven for 3-5 minutes, watching carefully that they don't burn. Remove from oven and cool until safe enough to enjoy.